"The house held secrets, Thomas knew, even before he first saw it looming gray and massive on its ledge of rock. It had a century-old legend — two fugitive slaves had been killed by bounty hunters after leaving its passageways, and Dies Drear himself, the abolitionist who had made the house into a station on the Underground Railroad, had been murdered there. The ghosts of the three were said to walk its rooms...."
The pace is just right for the 4th-6th grade readers. The suspense is thrilling, but not too scary. The mysteries and the truths behind them are handled with great care. This all adds up to a haunting tale that will let your child get a good nights sleep. Though the writing far exceeds that of a Scooby Doo cartoon, the story is woven and unwoven in a similar way. To my mind it makes for a perfect introduction to the genre of mystery-that it sheds light on the Underground Railroad just adds to its charm. Encourage your young reader to give it a try and let me know what they think. If they have also read Betty Ren Wright, let me know how it compares. I am having a sentimental week. My only child will be turning 12 tomorrow. He is quite the reader. As a matter of fact, he is currently reading the Iliad for his independent reading. 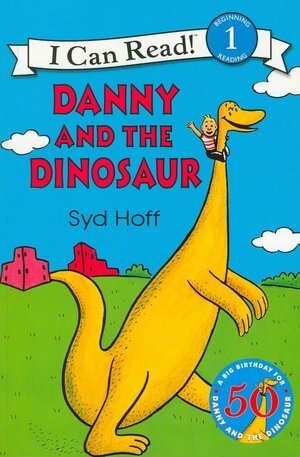 But, last night when I went to tell him good night, I noticed his copy of Danny and the Dinosaur by Syd Hoff on his bed side table. I asked, " What's this doing here?" He replied simply, "Oh, I was just reading it." That is all that was said, but I could not help thinking that he, too, is feeling a little nostalgic. What a delight this little reader is! And, Danny is my son all over. At that age, Miller was just like Danny. He loved museums with their Indians, bears, Eskimos, guns and swords. Most of all he loved the dinosaurs. I thought he might lose his mind the first time he saw Sue, the T-Rex, at the Field Museum in Chicago. It is also easy for me to imagine that one of his many imaginary friends was a dinosaur that accompanied him through the neighborhood, visiting school, the park and even the zoo. If you have a new reader, ready to tackle a book filled with simple sentences, I suggest you give this classic a try. It will not disappoint! I am a very visual person. I love to make beautiful photographs. I also love admiring skills in others that I do not possess. One of these skills is illustration. When I first saw this book on the new arrivals shelf at my local library, I was immediately drawn in. As you may or may not know, the author and illustrator of a book rarely, if ever, meet when working on a book together. I find this fact to be remarkable when I see a cover that so perfectly teases me about the contents of a novel. In this case, the cover did the trick. I immediately thought, "Jane Eyre meets Tarzan and his sister," and I was pretty close to the mark. 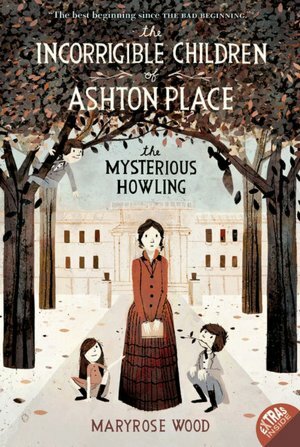 In this kick-off to the Incorrigible Children of Ashton Place, we meet a darling 15 year old governess named Penelope Lumley. Having just completed her training at the Swanburne Academy for Poor Bright Females, Penelope is hired to look after three children: Alexander, Beowulf, and Cassiopeia. Upon arrival, she discovers that these children are unique. Some might even say wild. She proves to be up to the task of guiding and teaching the children. But with every fact she learns, she finds she has 10 more questions. Where did these children come from? Why do they live in the estate's surrounding forests? Why does Old Timothy, the coachman, lurk around every corner? I encourage you to read this charming book to find out the answers and have a ball while doing it. I would recommend it for 3-5 grade children looking to take a peek into an estate of old. On our recent trip to Washington D.C., we had many serious discussions about whether or not to go to the Holocaust Museum. Their age recommendation is 11 and over. My son is 11. The final decision was "not this trip." All of the discussions left him with an interest in the time period. He is rapidly reading non-fiction and asked me for some fiction recommendations. There are many good choices, and I am going to cover them in the next few days, but my new favorite is The Book Thief by Markus Zusak. It is original from the start. Death is the narrator, and a fine one he is. I am not sure if Zusak actually referred to him as "he", but he seemed like a man to me. I can't say why. He becomes infatuated with a young girl, Liesel, who continues to bump up next to him, but never be ready for his services. She is a young lady in Nazi Germany. She is an orphan being moved to foster care. On the way, she steals her first book. Her new foster father teaches her to read and she keeps stealing the books. She makes many close relationships, including one with the Jewish man that her foster family is hiding in their home in the heart of Germany. Through Liesel's eyes, we are witness to the events in Germany during the war. Because of her love of books and her need for them to survive her meager existence, we are reminded of how a book can feed the soul. I have read it with many groups of kids-Always with great success. The text is simple, and the symbolism fantastic. Please share this remarkable book with any reader who has an interest in World War II. There was a show on one of the cable networks last spring called Political Animals. It starred Sigourney Weaver. One day, I heard her being interviewed on the radio about the show, among other things. The interviewer, Terry Gross of Fresh Air I think, pointed out that Ms. Weaver has never played the traditional role of "the damsel in distress." She replied, "I guess that is because I have never met one. All of the women with whom I am acquainted get the job done and are not looking to men for a solution." I loved this line and think of it every time I read a novel in which the heroine is always being rescued by her appointed white knight. Clary, the protagonist in Cassandra Clare's City of Bones seems to find herself in just such a situation. In her case there are two young men vying for the job. However, I get the distinct impression that Clary is a girl who can look after herself; the boys keep getting in the way. This does make for some interesting interpersonal situations, but did distract from the story for me- But not my 7th and 8th graders.They love this book! As a matter a fact they devoured this 400 page book and came back for more. Cassandra Clare wrote them a trilogy and they are gobbling it up. The next books are City of Ash and City of Glass. And, I believe there is a series of prequels available as well. We had the great pleasure of attending a book reading by the magnificent Walter Dean Myers while at the 2012 National Book Festival. After his prepared remarks, he took questions. Among them was, "Where did the idea for Monster come from?" He responded that after doing work with some young incarcerated men, he was conferring with a prosecutor and asked, "What is the most difficult part of your job? Funding?" "No,"the prosecutor replied, sadly. "The most difficult part of my job is convincing the court that these boys are human." "The best time to cry is at night, when the lights are out and someone is being beaten up and screaming for help. That way even if you sniffle a little they won't hear you. If anybody knows that you are crying, they'll start talking about it and soon it'll be your turn to get beat up when the lights go out." This isn't a pleasure read, but it sheds light on a truth not regularly being told. Walter Dean Myers told us he loved reading, because through it he has seen and experienced the world. With his help, I have looked at life with a new pair of eyes, and learned a little about myself. I am reading this book with a small group of young African American men at the moment. We had our first conversation today. I asked them why the book might be named Monster. One of the boys replied, "It's a true story. When you go to court you are guilty until proven innocent, that's why he named it Monster." It wounded my heart. One of the true luxuries of this life is sitting still and listening as someone reads a great book aloud to you. Though this happens less and less for me, I have found a substitute, the audio book. Though I rarely allow myself the pleasure of sitting while I listen, it is still a joy to hear rather than read words on occasion. Because I don't typically give the audio book my full attention, I use them for rereading books. Last night I "heard", as my son would say, the conclusion of Tuck Everlasting. This classic by Natalie Babbit was as wonderful as I remember. Better still, I was able to check out the audio book from my local library. This is a win-win situation in my life; getting a great book for free. My fifth grade book clubs have chosen to read Tuck Everlasting for the November book club meeting. I know they chose it, in part, because it has been made into a movie. I have not seen the movie, but based on our conversions over the years, whether or not the movie is any good, they believe if a book has been made into a movie, the book must be good. If I were to suggest just one Natalie Babbitt novel for them the read, it would be Searching for Delicious, but Tuck Everlasting does not disappoint. 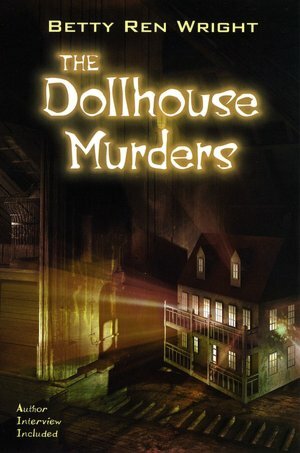 In the late 1800's, a young girl Winnie feels trapped by her life. With no friends, but a curious toad, and no freedom, she decides she must leave home so that she can make a difference in the world. Losing her courage by the next morning, she decides to simply follow her new friend the toad into the woods. There, she discovers a beautiful older boy who captivates her. She is frozen to her spot as she watches every move of the boy. All is quiet as she watches him drink from a spring, until he suggests she come out of hiding. Startled, Winnie approaches him. They talk for a bit, until a sudden chaos breaks out. In the excitement, Winnie is taken by the boy and his family. Now she is leaving home, despite her change in plan. The family means no harm to the girl; they only fear for her and her community and take her to explain about the spring. The story of the spring, the Tuck family and the man in the yellow suit, is both believable and unbelievable. The tale unfolds with excitement and intrigue. It reveals the true nature of all its characters by its end. It ultimately tells of stunning loyalty and love. My son's most recent writing assignment is to prepare a non-fiction piece about science. He has to select some type of cause and effect relationship and explain it. He happens to love science, so this task is right up his alley. He wanted to pick something outrageous, and the series Weird but True!, published by National Geographic Kids, was just the place to get started. These are a series of books that address the strangeness of our world. You can find the generally outrageous in Weird but True! 1-4. If your reader has specific interests, the series includes topics such as weather, the human body, food, animal homes and space. The list is pretty inclusive, so just search your favorite book store for "weird but true" for the complete list. I have even used these books successfully with my book clubs. I have the kids pick the titles within the series that interest them most and bring 5 new facts to the group. On one occasion I suggested they include made up facts in the presentation. It was then up to us to try to guess which one wasn't true. You have never seen a group of kids laugh harder in their lives. What is the craziest fact you have ever learned? I am going to deviate from the wonderland that was the 2012 National Book Festival and tell you about one of my 6th grade book clubs. We met over lunch today to discuss Jurassic Park. It never fails that this group wants to fill me in on the gore first, and this book has plenty. It is also full of action, imagination and surprise. The conversation was lively. I started with this question, "What was the grossest death scene?" This got us rolling, and it was nearly impossible to stop-they were all late getting back to class. My apologies to all of their teachers. 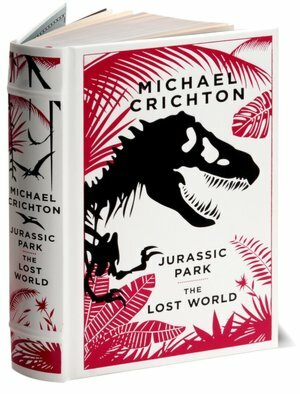 It is likely that you are familiar with the story of Jurassic Park. My first introduction to it was the movie. My parents did not have the "you must read it first" rule, so this is the first time I have read it. I have to say I am glad I did. The plot is imaginative and creative. It is strangely believable. And, the scientific methods addressed are advanced and interesting. The action kept these kids reading, with not one of them complaining of the length. For me, I spent a bit of time skimming the constant action/violence sections. If I were watching the film again, I would likely fast-forward through the same scenes. The kids, on the other hand, hung on every word and enjoyed the entire ride. They would want me to give you one ALERT! There is bad language. Our rule is you might read it, but if you say it, you will pay the price. If you are concerned about this for your own reader(s), you may want to wait until you are more comfortable with their filters. Lastly, this book does have a sequel, The Lost World. For this generation, a second book has great appeal. We are going to have a movie night this weekend and watch the movie. My son happens to be in this book club, so my "read first" rule is still alive and well. Let me know if you and yours take on this book. I would love to hear what you think.